As some of you may have noticed, we have recently opened the EAP for dotTrace 5.0 Performance. It was a very quiet launch for a number of reasons, but now here we are talking about the new exciting version of the .NET performance profiling tool. There’s a ton of new features in this release as outlined below and some of the major features we’ll get back to in future posts, covering them in full detail. For now, download dotTrace 5.0 Performance EAP, and read further to learn what you’re going to get with it. 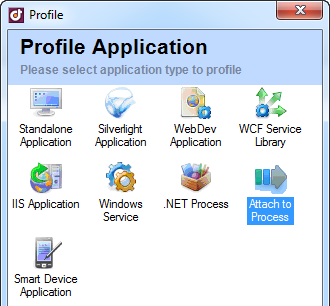 Running the profiling agent as a regular service or ASP.NET Web Service. 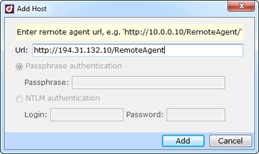 Remote profiling over HTTP. This effectively removes some of the common barriers encountered when trying to do remote profiling such as firewalls or VPNs. Less administrative permissions making it easier to use in more restricted environments. A great new feature in dotTrace 5.0 Performance is the ability to attach the profiler to an existing process and run performance analysis on it. Once sufficient information has been collected, the profiler can then be detached. This allows us to open up new usage scenarios like taking a snapshot of an application that needs to be run for hours (or days) before it starts to display any performance issues. In dotTrace 4.5.1 Performance, we introduced a very early version of the profiling API which allows you to incorporate profiling capabilities inside your application. It was a rough-cut version and had one minor glitch: you could not detach the profiler once attached. This problem has now been solved as mentioned above, and the API has been overhauled to provide a much richer development experience. A configuration helper for command line execution. Ability to integrate performance profiling into the Continuous Integration process (using TeamCity for example) via MSBuild or NAnt tasks. If you are still not familiar with dotPeek, it is a free .NET decompiler tool which we opened the EAP several months ago. One of the core ideas of dotPeek is to offer integration with our other productivity tools, such as ReSharper, whereby you can decompile any assembly for which you do not have the sources, directly from within Visual Studio. We now offer the same experience with dotTrace 5.0 Performance (we have actually posted a preview of it several months ago.) While profiling an application, if you need to dig further into the code and you do not have the PDB’s, dotTrace Performance will decompile it for you in-place and present decompiled code in the source preview area. This version will also provide support for CLR 4.5 as well as Windows 8. In addition to the new frameworks, dotTrace 5.0 Performance also provides side-by-side profiling of CLR 1/2 and CLR 4.0/4.5 frameworks. In collaboration with our friends at TypeMock, we have made dotTrace Performance work seamlessly along with TypeMock Isolator. This allows you to easily profile your unit tests even when using TypeMock as a mocking framework. It also means that dotTrace Performance can now work in what’s called transparent mode, stepping back and allowing other engines to interleave between dotTrace and the target of the performance profile. Lower memory footprint during performance profiling. Support for IIS Express from within or outside of Visual Studio. Improvements on the UI for Adjust Time functionality, allowing control of non-user-defined functions. Up to 20 times performance improvement on plain list construction for larger snapshots. Threads with message pumping loop are now highlighted. Close to 40 bug fixes, including some important ones affecting callstacks. You can start playing with dotTrace 5.0 Performance by downloading the latest nightly build from the Early Access Program Page today! This entry was posted in How-To's and tagged dotTrace. Bookmark the permalink.